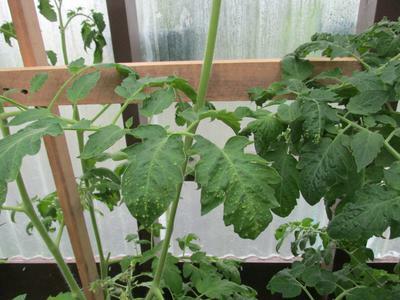 Leaves midway up the plant have white raised bumps that appear on the leaves of the tomato plant. The lower leaves turn yellow, brown, whither and fall off. And some lower leaves are staying green and wet rapidly whither up and fall off. Plant blossoms stem behind the blossom yellows and the blossom falls off. What could be the problem(s)?